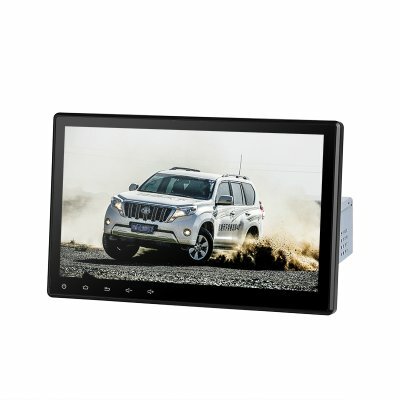 Successfully Added 10.1 Inch Car MP5 Player - One Din, GPS, Bluetooth, WIFI, Android OS to your Shopping Cart. Entertain your passengers on the road with this 1DIN car media player, with its Android operating system, watching movies, playing music, hands-free phone calls, and even browsing the web. Holding 16GB of ROM this Android media system allows you to smoothly enjoy the latest media, games, and applications alike without dropping a frame. The 10.1 Inch display make you enjoy all media and with more detail, offering your passengers a true cinematic experience while out on the road. Supporting an extremely accurate GPS, this 1 DIN media player can additionally be used as a top class navigation system. Supporting Android maps you will be able to download and insert your own maps, ensuring that no matter where on the globe your next trip will bring you – with this Android car media entertainment system you’ll always be able to find the quickest road to your next destination. With Bluetooth, you could easily pair your smartphone with this Android media player, letting you answer phone calls and allowing you to engage in hands-free conversations while in traffic. Additionally, you will be able to sync the media player with your smartphone music library, letting you enjoy your favorite tracks in stunning audio quality.